C.S.I. S.r.l. 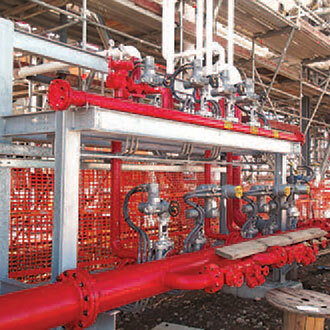 offers complete hardware and software solutions to protect marine loading dock's in the Oil & Gas sector. 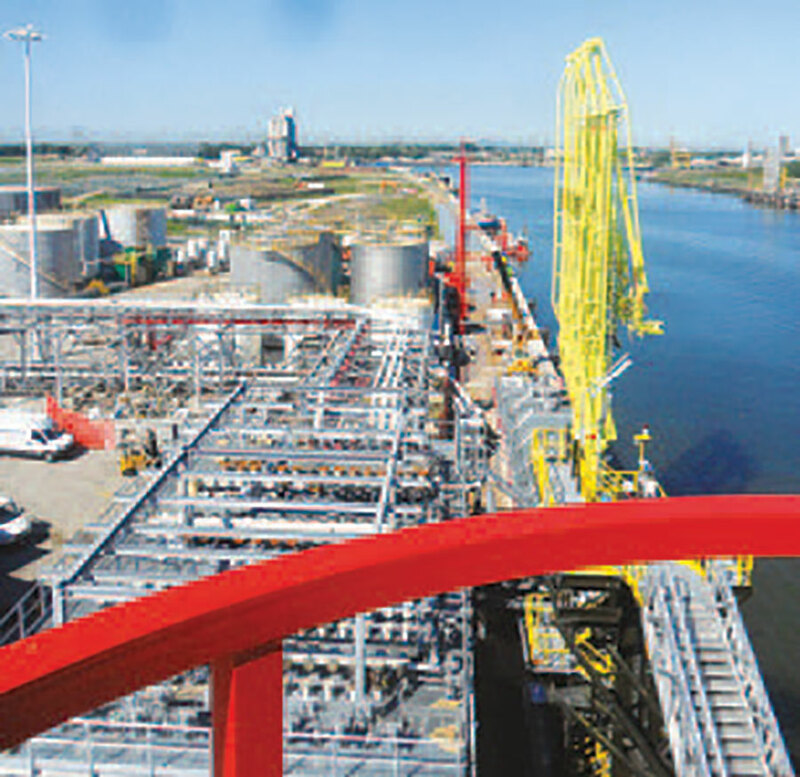 Generally, above ground storage tank farms are located in the vicinity of the sea to transport combustibles by sea. 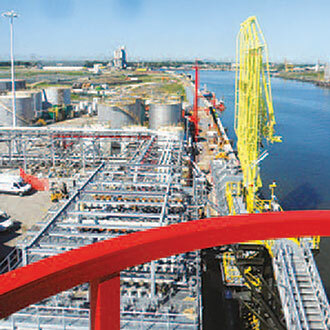 During liquid transfer from sea to the land, marine loading docks are used to house telescopic connection hoses, relevant process valves etc. 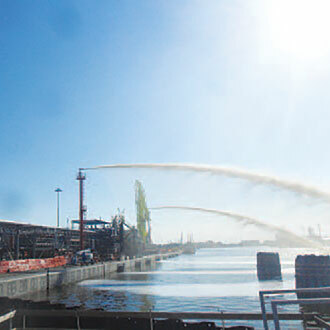 While the vessels are constructed with certain heights and substantial lengths, a fire event may take place on the vessel during the loading-unloading operation and there may be difficulties to reaching the fire source from land grade. C.S.I. S.r.l. 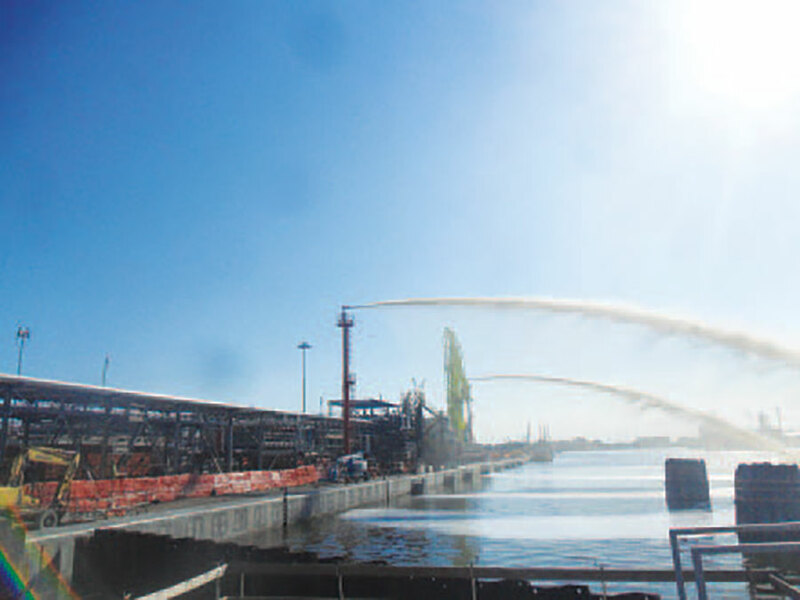 has recently realized a project to protect marine loading docks with remote operated foam-water monitors located over monitor towers. 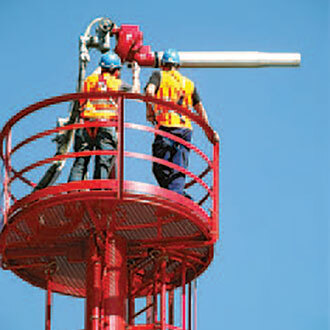 Towers have been constructed with 20 m height located at the extremity of the dock. 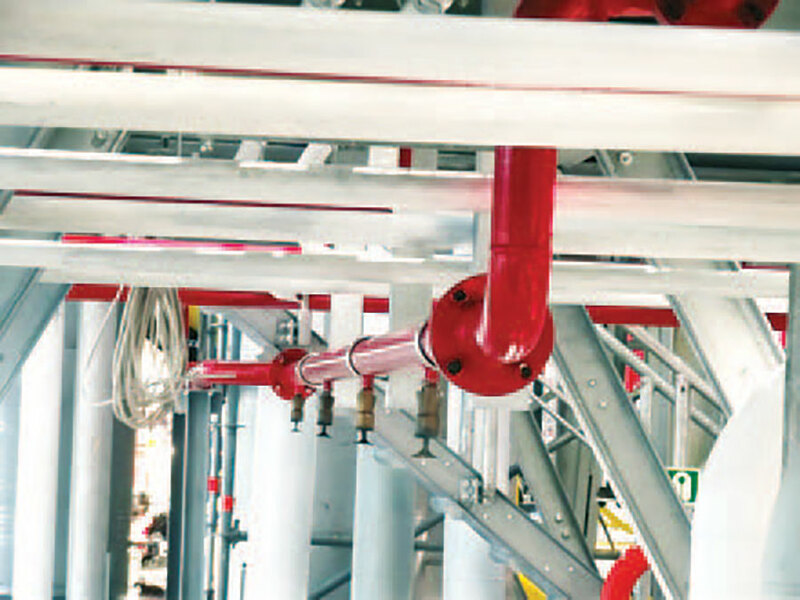 Towers equipped with cooling systems controlled from a distance/remote by electrically operated valves ensure integrity of the structure during fire. 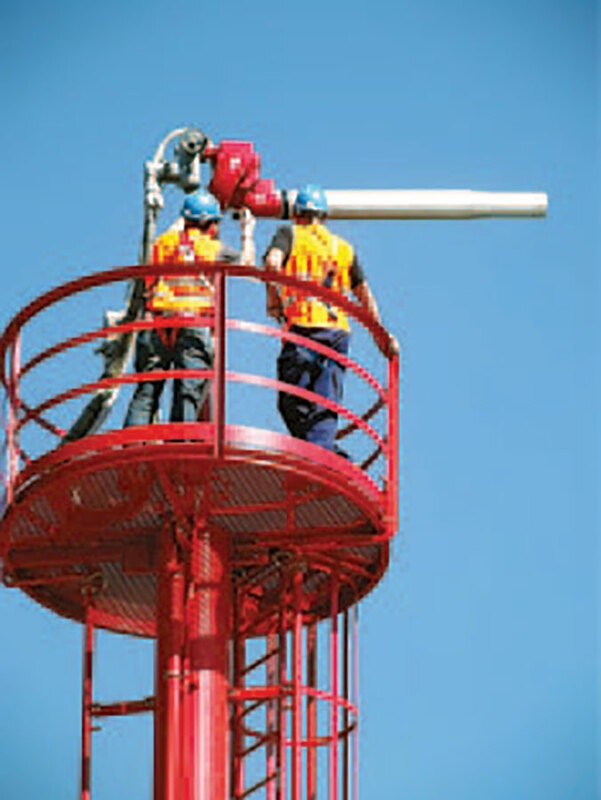 The main monitor feeding connection at the base of the tower, houses electrically operated valves and C.S.I. S.r.l. 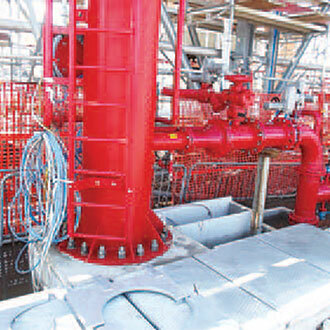 's automatic mixer "MA-250", creates foam solution when needed. 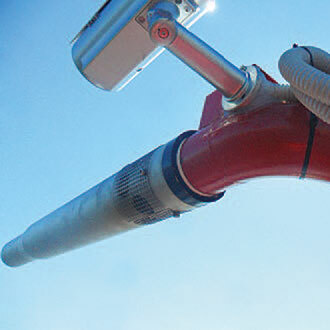 Firefighting monitors are the combination of MME-125 model electric operated monitor body with AU MA® actuators for vertical and horizontal movements, and specially developed DLS-100-S model air aspirating foam branch pipe with 10.000I/min flow rate at 7 bar while providing a throw range up to 120 m with foam solution. 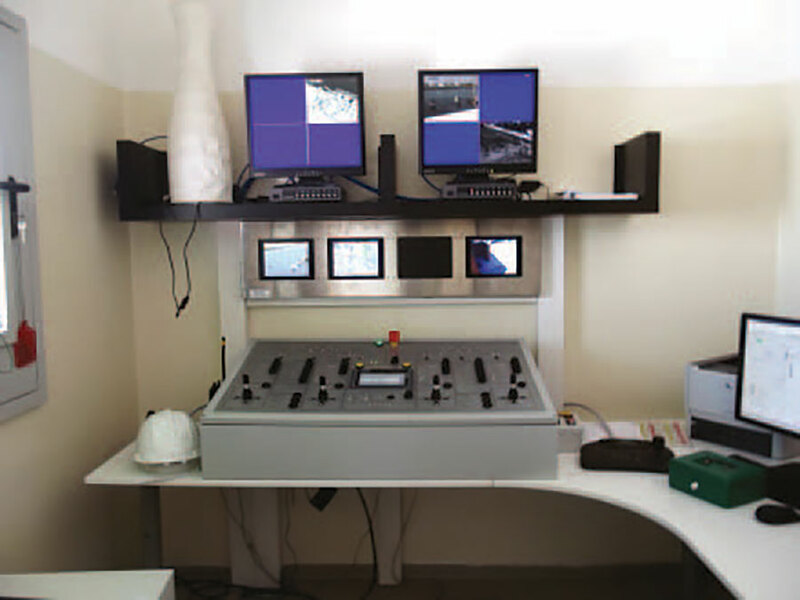 The monitor system has safety integrity level (SIL-2) certification. 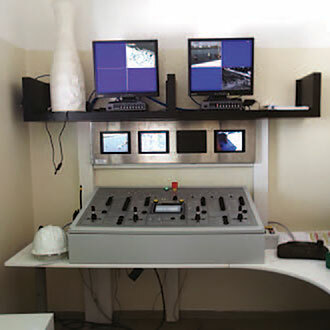 Monitors house a tele camera giving the operator the possibility to command them from screens in the control room. 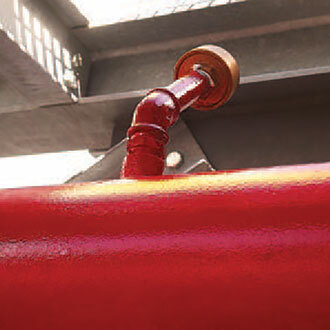 The steel construction of the loading dock has cooling and extinguishing systems provided by C.S.I. 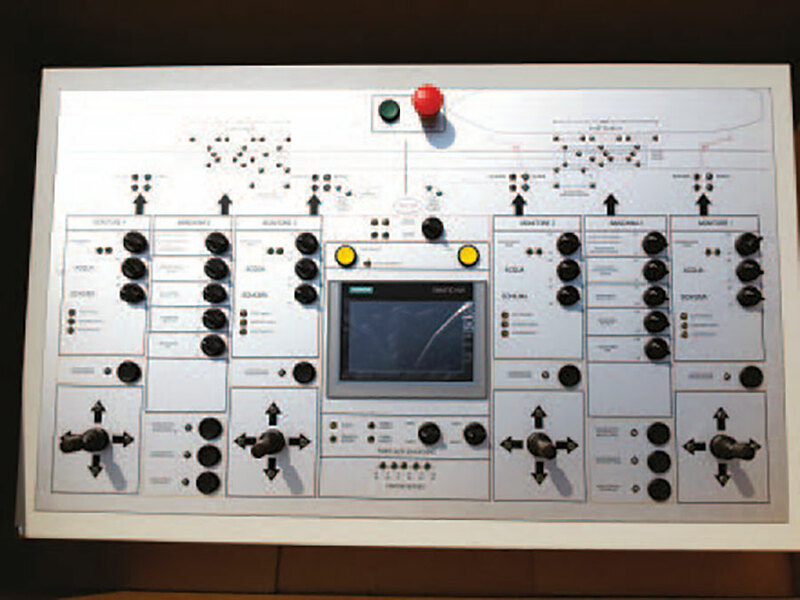 S.r.I., operated from the remote control room with combinations of electrically operated valves. 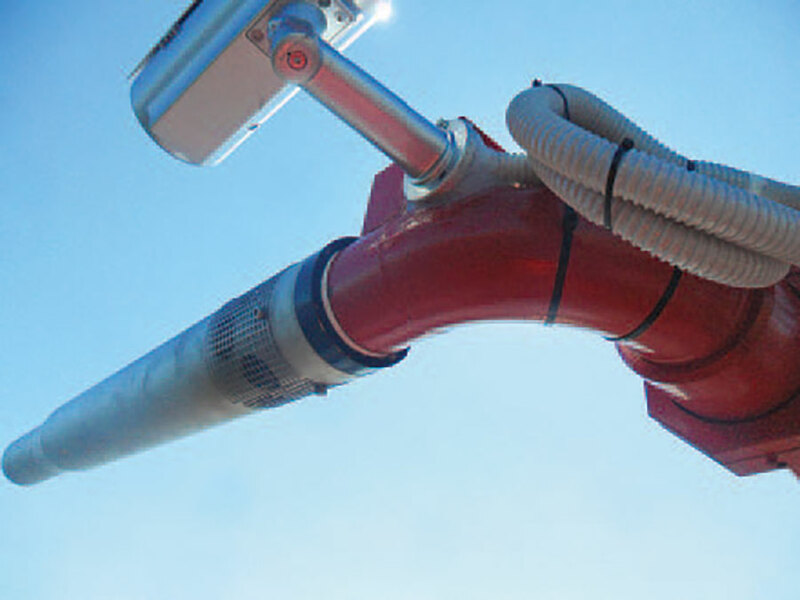 The structure cooling system uses CAY type nozzles, which create a fine fog. 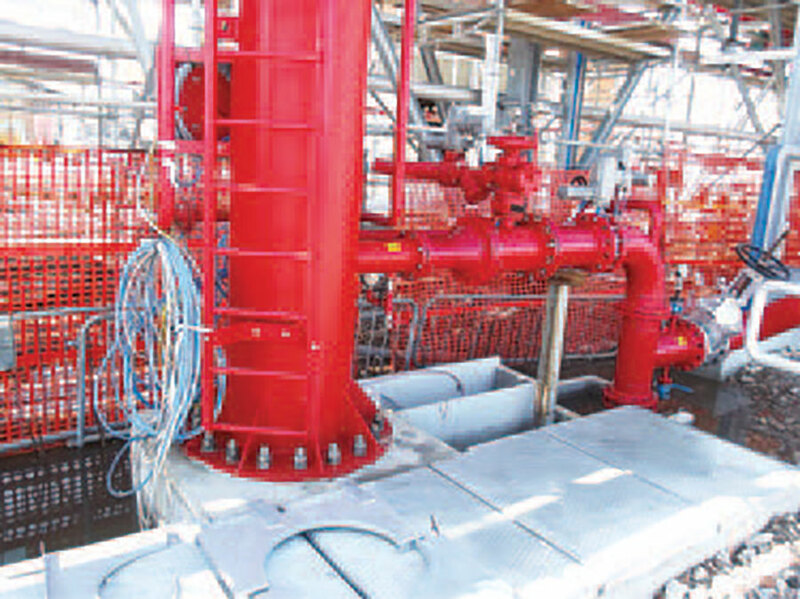 The base of structure has been protected by using WFN type air aspirating foam sprinklers. 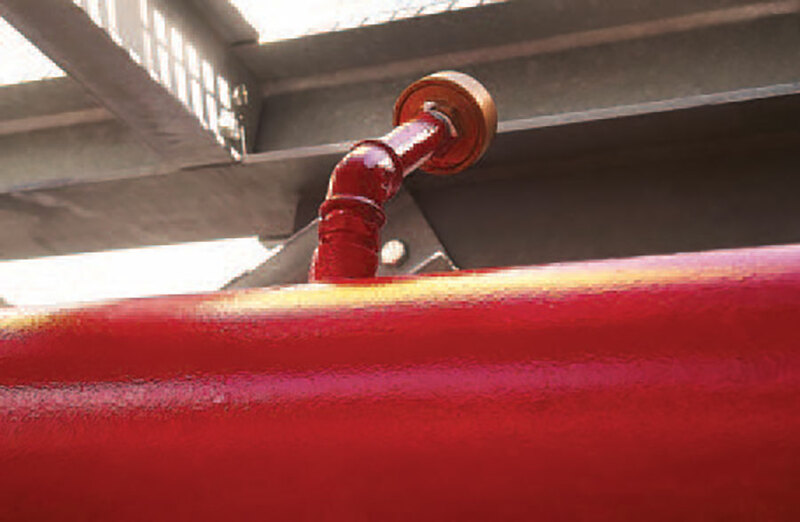 Wharf length has NFP/D type medium expansion foam pourers to create a foam blanket over the sea level in case of leakage. 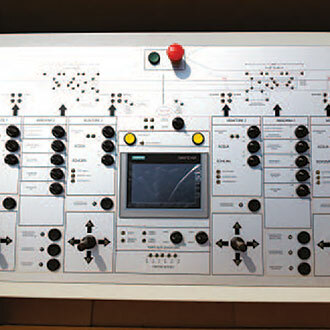 The entire system is controlled by S7 model SIL-2 certificated programmable logical controllers (PLC) produced by Siemens®. 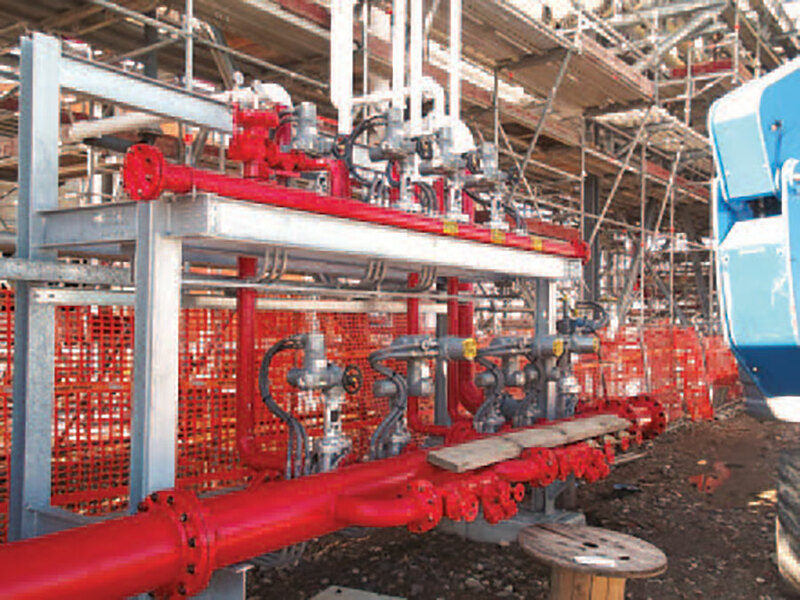 A sea terminal is an explosive environment, for this reason all equipment used on site is constructed to serve in conformity with ATEX regulations. 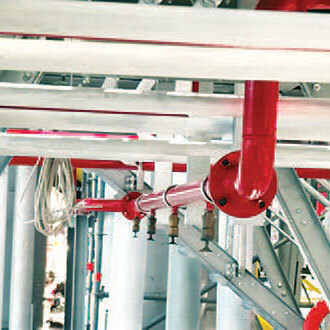 The controlling system has connected to plant automation system via Profibus® connection protocol combining process applications with firefighting application at unique terminal control interface at a distance.